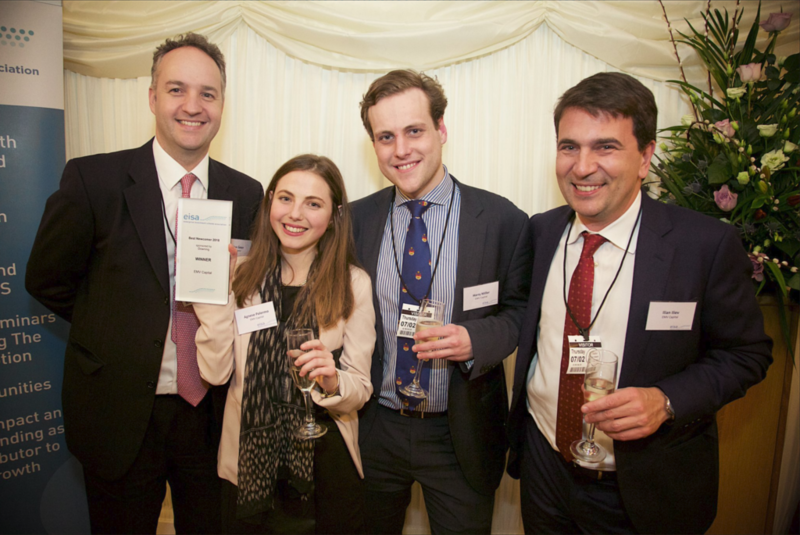 Level39 member EMV Capital has been awarded the Best EIS Newcomer 2018 according to the EIS Association in their yearly prize giving ceremony. As the official trade body for the Enterprise Investment Scheme, EISA are a non-profit which helps small and medium sizes businesses obtain the funding they need to grow their business. In their 14th edition of the awards, EMV Capital were recognised for their innovative approach to working with industrial corporate venturing teams – resulting in speedy adoption of high-tech innovations and reduced time to market and return of capital to investors. The EIS/SEIS industry has boomed in recent years as a tax efficient way for investors to deploy capital into businesses. Under the scheme, a company can raise up to £5m each year and provide tax reliefs for investors. EMV Capital an a pan-European investor focused on B2B companies working in industrial high-tech, clean energy and more. In 2018, EMV Capital launched the EMVC Evergreen EIS Fund – focused on investments into EIS-eligible companies.